Precision of Sales Automation – for a Perfect Data Flow by Nikolaus Kimla - SalesPOP! There is a beautiful classical piece of music—Moldau by Czech composer Bedrich Smetana—which describes a spring that begins in the mountains, becomes a brook, a stream, a creek, a river and then reaches the ocean. In the business world, we want a perfect, precise flow of data. It begins with one data point, and moving forward gathers to it more and more data and specifications. In the end, we only want to know what kind of impact this data has. How we arrive at such a perfect data flow has everything to do with processes and integration. In the digital world, everything is geared around processes. Because we are interconnected, processes are correlated very strongly with integrations—primarily because there is no longer one single process for any company. For example, with something so seemingly simple as a bank transaction, there are multiple processes, often involving multiple applications: verifying your account, recording the transaction’s destination, verifying the destination account, confirming that your account has enough funds to make the transaction, and then, finally, sending the money. For automation, it should all begin with relatively simple processes. We all want to have Superman processes (you might remember putting on the costume and attempting to fly off the garage roof), but experience teaches us very quickly that we can’t gain such things overnight. An over-ambitious view might be of someone sitting alone in an office, and the prospect that calls in is automatically routed to the support center, the support request is automatically routed to support personnel, a support person automatically routes the ticket to a salesperson to upsell, an invoice is automatically generated for the additional product or service…this can definitely go to the extreme. It makes no sense to begin with super-complex processes. Attempts to do so often cause projects to go astray or wind up nowhere. You should begin somewhere simple that yet has an immediate impact, one that users can feel in a positive way. Of course, one person who was for years judged as unrealistic and who built a company that operated deep in the red for many years ended up creating a nearly perfect series of processes and today is the richest man in the world: Jeff Bezos, founder of Amazon. In my opinion, he is a process genius. Jeff Bezos’ amazing operation affects my household each and every day. I have an automatic order for fresh food, including 4 gallons of milk and 10 bottles of Pellegrino mineral water per week. It just automatically shows up at my door. If we had to go to the store and carry those every single week, that’s about 30 – 40 pounds per trip, about 50 trips and a couple of hundred pounds per year. When you consider that we can automatically order these items, this boils down to useless activity. There are many more important things we could be doing. The Amazon processes work extremely well, and they’re part of a process engine. We have the “master of processes” before us, and Mr. Bezos, in creating his world empire, is eliminating one business after another. I’m not saying such creation is good or bad…but you have to admit, he has done an incredible job. What do processes and integration have to do with us—the little mice up against the elephant? First, you must define a sales process, for the simple reason that you cannot automate a process that you haven’t defined. 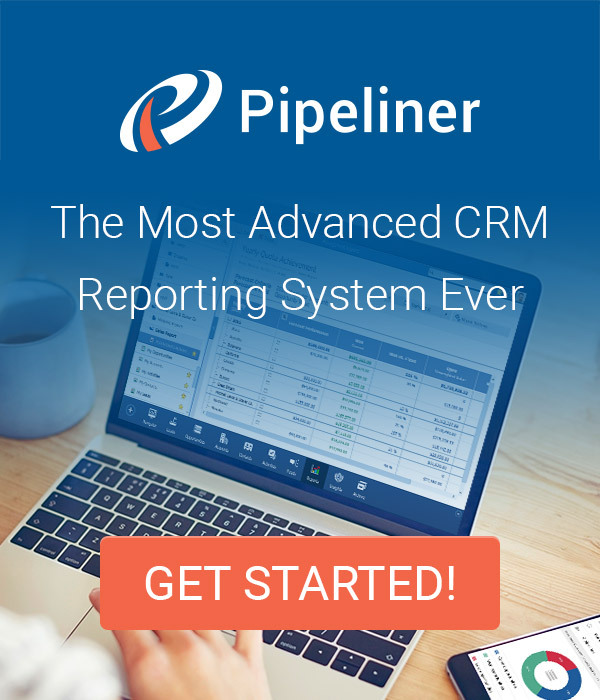 Our product, Pipeliner CRM, makes it possible to create more than one sales process because many companies today have several: for example a pre-sales process, a post-sales process, and a customer success process. We call these processes “pipelines.” Seeing this multi-process trend taking shape in the business world, we created multi-pipeline functionality several years ago, and the whole CRM industry has followed us. I was one of the first to point out that the envisioning of a sales process as a “sales funnel” doesn’t work because you’re visualizing something that is gravity-oriented instead of process oriented. Leads don’t go in at the top with resulting closed deals “falling out” the bottom. Leads are guided along and become opportunities, which then go through the process, stage by stage, and become closed deals. Our Pipeliner View provides such a process visualization. Again, you must fully define these processes before you automate them. It might be important, before automation takes place, that you perform some kind of integration. You might have a system in place that enriches data (such as we discussed in our last article) that you want to integrate into your CRM. A prospect signs up for a trial, and at that moment you want to enrich the data. Who is this person? What’s their position in their company? What else might be known about them? Once the data is enriched, the person becomes an actual lead. They then become qualified, become an opportunity, and move to the next stage. Process and integration go together. In actuality, you’re flowing data through the process. Automation is just figuring out at which point data needs to be a) enriched, b) corrected, or c) should generate some task or activity. The first automated activity might be to at least initially qualify the prospect—can they buy? Do they have a valid credit card? There might even be more involved ways to qualify a B2B lead that can be automated, such as a process that looks up a prospect company’s Dun and Bradstreet rating. So it can be seen that automation in a CRM system, especially for salespeople, is definitely more focused in the leads section of the sales process. Then it becomes a question of figuring out which steps or stages of the process that can be automated. The degree of automation might be dependent on the product or service that you are selling. There are products for which it would be very difficult to fully automate a sales process—for example, if you are selling Rolls-Royce turbine engines to different aircraft manufacturers. There are a number of stages in such a sales process that you couldn’t automate because there is more than one team member on the buyer’s side that must sign off on the purchase—there is enough interaction that automation is near-impossible. Perhaps there are specs and other things that could be automated, but automating the process itself is unrealistic. In most B2C settings you can totally automate the sales process. The user clicks on something, or performs some action, and is automatically routed into the next stage. This leads to a bit of a law about processes: the more granularly you have defined your processes, the more you can automate. The more you automate, the faster and more efficiently you’ll be able to scale. It does make much more sense to automate B2C sales. When you’re selling consumer products and goods such as hair-care and foods, as with Amazon, the process can be totally automated, for no human action is required. 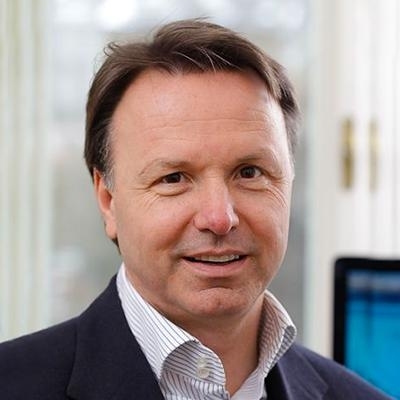 Automating CRM, as with the automation of processes, comes back to the type of transaction. In the case of Pipeliner, for example, our product is geared to more complex B2B sales, and it doesn’t make sense to fully automate CRM. There are many processes underneath the primary process, though, that we can automate—for example, lead tracking, trial setup, demonstration, imparting of knowledge or enriching the experience. But though the actual sales process, in which the salesperson must interact with numerous different people at the buyer end, automation would be more inhibitive than helpful. What is needed in a CRM in such situations is that information about the opportunity or deal in progress is immediately available. Managers, owners, salespeople and other team members should have fast and accurate access to data, as they do in Pipeliner. The enormous benefit of the digital era is that all information can be digitalized—you can follow up any aspect of a sale and find out all about it. This means conversations, notes, documents, interactions, meetings, demonstrations, or any other components. These can all be optimized, and in some cases automated—for example, in some cases information could be automatically obtained. With the number of tools out there and the amount of data that must flow from one tool to another, integration becomes increasingly important. In the end, it should all be invisible, and data should just flow from one point to the next—just like the spring to stream to river to ocean in Smetana’s beautiful composition.